Next morning I took a pleasant stroll around the quiet streets of Kirikkale. It seemed like a prosperous, if not overly pretty, little city. Maybe I had been too quick to dismiss it. Next door to Otel 71 was a small café where I stopped for breakfast. I asked the owner of the café what Kirikkale was known for. He replied, “Making steel and chemicals”. Hmmm, not a great claim to fame! While packing the bike I began to doubt the wisdom of my plan to ride all the way to Istanbul today. It was about 530km and would mean arriving in the middle of Istanbul’s late afternoon peak hour traffic which was reportedly worse than both Delhi’s cow-induced chaos and Tehran’s gridlock – although I failed to see how this could be humanly possible. A late arrival was something that I wanted to avoid. So I decided to stop about 100km short of Istanbul at Izmit which would leave me an easy day’s ride the following day. And so the day’s ride was set. I would bypass the chaos of Ankara, head for Bolu by lunchtime and then be in Izmit by early afternoon. 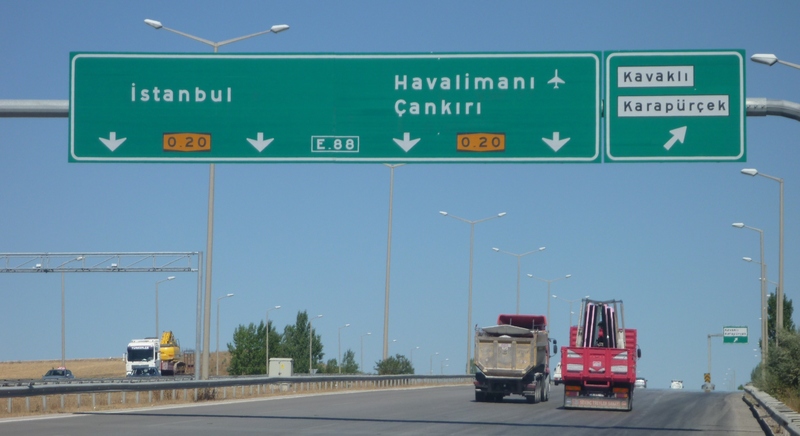 Between Kirikkale and Ankara – the first sign to Istanbul! 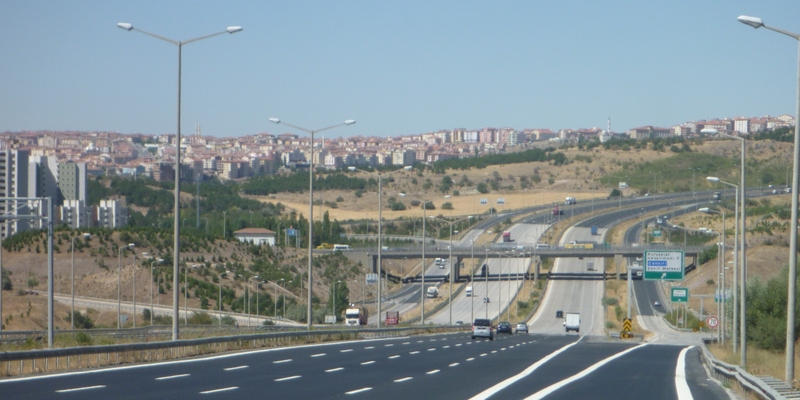 The highway skirted around the outer suburbs of Ankara. And I was glad that I had decided to give the massive concrete jungle such a wide berth. Then it was a tedious 200km ride to Bolu where I made the obligatory pitstop for lunch. Several people asked me why I bypassed Ankara. Wall-to-wall concrete, maybe. It was only another 150km to Izmit so I took my time and stopped at Uzunkum near Lake Sapanca. If you discount the disappointing heat-haze blur of the Caspian Sea, this was the biggest body of water I had seen since Lake Attabad on the KKH all those months ago. Just to see those cool clear blue water again was enough to lift the spirits. I had grown up on the beaches of SE Queensland and have always lived within 20km of the coast so being away from the sea for so long was a strange sensation. 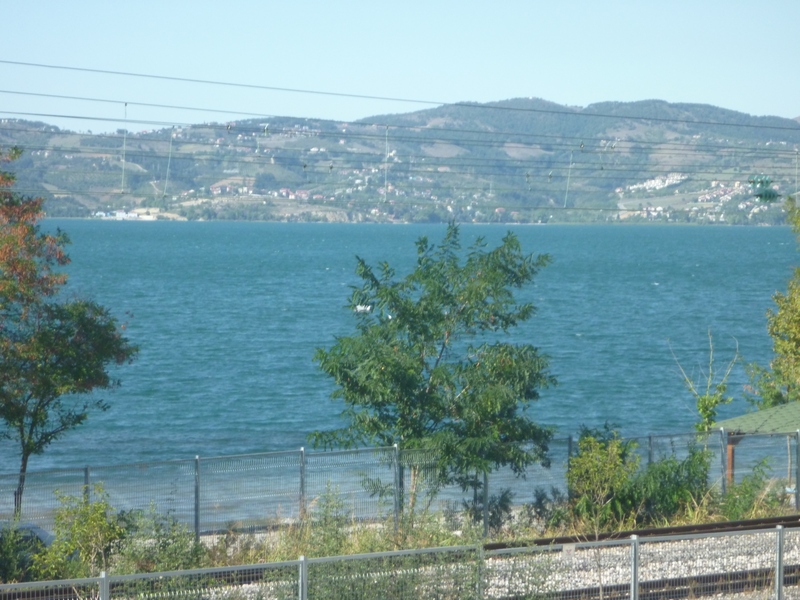 Lake Sapanca – a beautiful place to stop and take in the view. 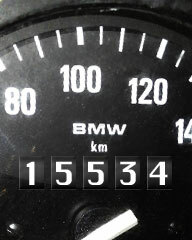 Izmit was now only 35km away. Not wanting to repeat my experience in Kirikkale I found a slightly more expensive hotel at Seka Park right on the seafront of the Gulf of Izmit which comes off the Sea of Marmara. The Seka Park Hotel was everything I could have wished for. Clean sheets, hot water on tap and friendly staff. 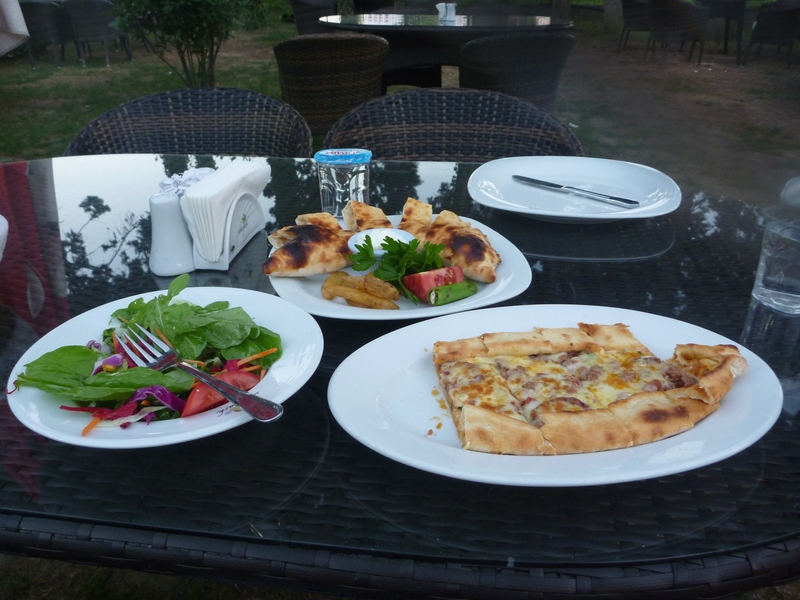 The food was excellent but alas I again fell foul of the bizarre Turkish licensing laws that prevent hotels selling wine or beer with meals. There would be no Efes for me tonight. That aside, I ate well and slept well. In fact, it was the best night’s sleep in a long time. Fantastic food for a fraction of the cost in Western hotels. It was hard to believe but tomorrow, after three months riding across Asia, I would be in Istanbul.